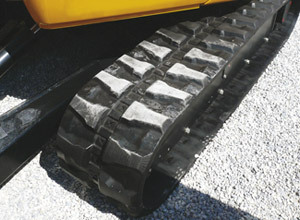 Bridgestone is one of the largest suppliers of high quality Rubber Tracks to OEM construction machinery manufacturers. Bridgestone was founded in 1931 and has grown to become one of the world's largest tire and rubber products companies, with over 180 production facilities in 25 countries around the world and sales networks in over 150 countries (data correct as at 1 April 2013). The company is renowned for its R&D and design capability, exemplified by the success of Bridgestone's racing tires. This expertise extends to a wide range of products including automotive parts and industrial rubber products such as Rubber Tracks. Bridgestone engineers first designed Rubber Tracks for excavators back in the 1970's. 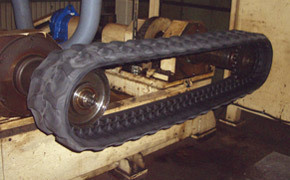 Construction machinery manufacturers all over the world have adopted our Rubber Tracks on their machines. Bridgestone is one of the world's largest manufacturers of Rubber Tracks. 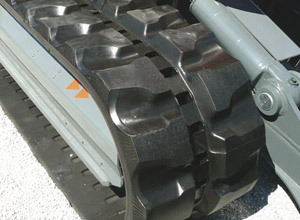 By drawing on the group's extensive R&D, design and testing resources and combining this with our vast experience of tracked vehicles, Bridgestone can offer a wide range of high quality Rubber Tracks. 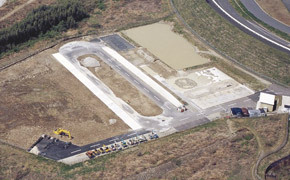 Bridgestone operates a state-of-the-art Rubber Track proving ground, located in Tochigi-Japan. A variety of terrain conditions are maintained in order to establish consistency during the testing process. 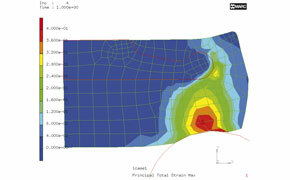 Laboratory bench testing is vital to accelerate evaluation under controlled conditions. All Bridgestone Rubber Tracks are tested, evaluated, and proved. Bridgestone's scientifically proven non-linear, large-displacement FEM analysis system helps engineers to create innovative technologies. Bridgestone evaluates in real-life environments and proves products by using actual machines in actual field conditions throughout the world for all Rubber Track applications.